RSS-2-300 WL flow meter is used to monitor flow velocity and level of open channels such as rivers, irrigation channels or sewer systems, and for monitoring and control of hydropower plants and wastewater treatment plants. The flow meter is also suitable for various mass flow metering applications in mining processing plants, industrial installations, and due to operation without moving parts and robust mechanical design, is ideal for measurement of flammable fluids and harsh chemical applications. The radar operates in K-band (at 24.125GHz or 24.200GHz), and provides flow speed readings 20 times per second over serial (RS-232, RS-485) and CAN interfaces. 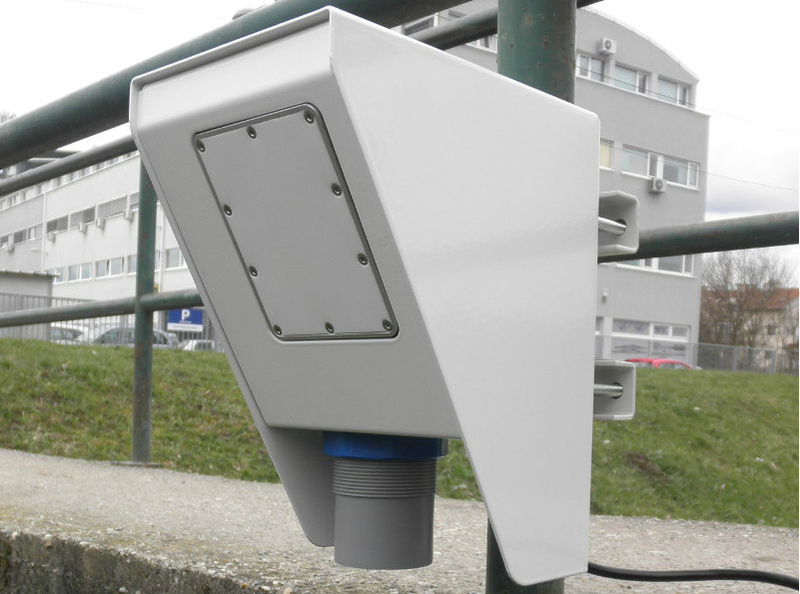 Ultrasonic level sensor operates in frequency range between 20kHz and 350kHz.